Sixty years ago the purpose of nursing homes was to keep people safe and sound until they died. Today, according to Jennifer Popp, Administrator of Eunice Smith Home, skilled nursing home communities are very much about living. Myth 1: Skilled nursing home communities are like hospitals. In other words, they are regimented and clinical. Instead of seeing a physician every day, they may see one once a month, depending upon their health. The nursing staff serves as the first line of communication with the physician. While hospitalizations are usually short-term, Jennifer points out that community residents develop long-lasting friendships with the people that care for them, and they make decisions about what activities they will participate in. One other key difference: The skilled nursing community is just that—a community. “It is home for our residents,” says Jennifer. Myth 2: People living in skilled nursing home communities are all dying. Myth 3: All skilled nursing home communities are the same. Though long-term communities have similar goals—provide quality care and help residents live life to the fullest—each may meet these goals differently. Bethesda uses customer surveys to find out what residents and their families think, and teams meet regularly to research best practice methods and craft policies and procedures that lead to a higher standard of care. Myth 4: Staff use restraints to control residents. “Long gone are the days of seat belts on wheelchairs and full-length bed rails,” says Jennifer. She cites research that shows restraints often cause more injury than they prevent. Nationwide, the use of restraints in skilled nursing communities has dramatically decreased. Bethesda made the decision, years ago, to stop using them. Myth 5: There is no privacy. In the early days of nursing homes, many facilities were labeled as “warehouses for the old” where guilt-ridden relatives abandoned aging relatives to stark and sometimes overcrowded institutions. But most skilled nursing communities today are bright, open facilities that accommodate the need for privacy. Communities like Bethesda provide private rooms available to residents. Even in semi-private rooms, accommodations are available to ensure care can be provided in privacy. Family members are encouraged to visit, and areas are available where the families can gather to celebrate a special occasion or simply play cards and visit. Myth 6: Residents are always on the caregivers’ schedule. 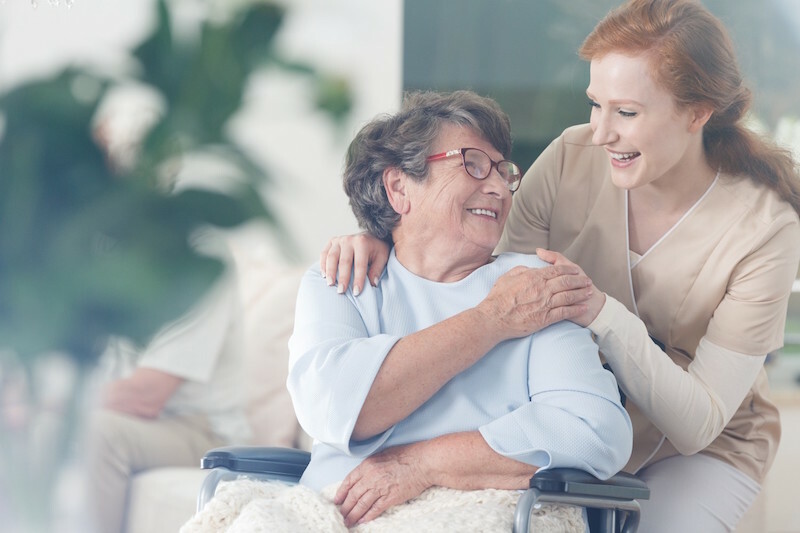 An individualized care plan is in place for each resident, and it is varied based upon the needs and preferences of the resident. They choose bedtimes, wake up times, what to have for breakfast, and who they will be joining for the meal. Care management plans provide structure but allow for flexibility. Myth 7: Skilled nursing home communities are for people with memory problems. Many long-term care facilities are designed to assist residents with all levels of needs. Residents who need specialized memory support care for dementia can find this service in these facilities. But many residents do not need this type of care. They are coming to a facility because they can no longer physically care for themselves. Staff members recognize the unique needs of each resident. “They work diligently to pair roommates that are compatible, unless there is a request for a private room and one is available,” says Jennifer. We’ve all heard the myths. To find out the truth about skilled nursing home communities, Jennifer encourages family members and potential residents to check out the grounds of the community they are visiting. Talk to residents, management, and staff. Have a meal. Ask yourself, what are the sounds you hear in the community? How do staff and residents interact? And then visit again during off hours to see if what you have seen and heard is consistent. At Bethesda, we pride ourselves in providing exceptional senior care. Schedule a tour at one of our Skilled Nursing Communities in the St. Louis area to see what we have to offer.